We haven’t seen a good car insurance promotion for a while, so I was pleased when a reader sent this across to our sister site Head for Points. 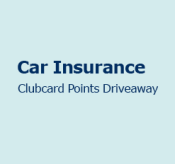 If you take out Tesco’s car insurance by 23rd June you will receive 3,000 Clubcard points – not a bad return! There is a leaflet promoting the offer here if you want to see it which contains all of the small print.